An ever-increasing amount of information is available to us today. And document sharing is more integrated into our businesses than ever before. Put those two factors together and we have a huge challenge to manage. However, done right, it also creates an opportunity to align strategy, programs, projects, and more. Doing so requires a robust platform and rigorous process and we have the tools and experience to help you manage it all. Leveraging our resources ensures that your team has the information they need, when they need it, in one central location. 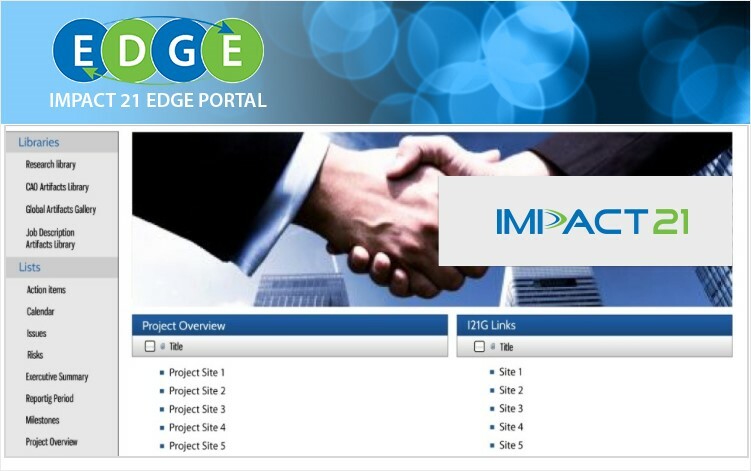 Through our EDGE™ Portal, you can manage and track deliverables, timelines, and resources. It allows you to manage all information and documents pertaining to your initiatives and can be leveraged for project management, version control, and process management.